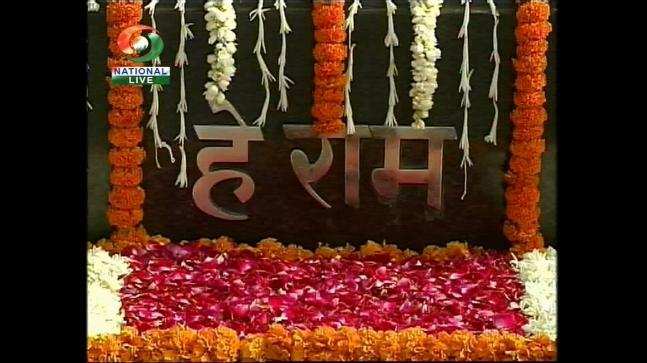 PM Manmohan Singh visited Mahatma Gandhi's samadhi at Raj Ghat. 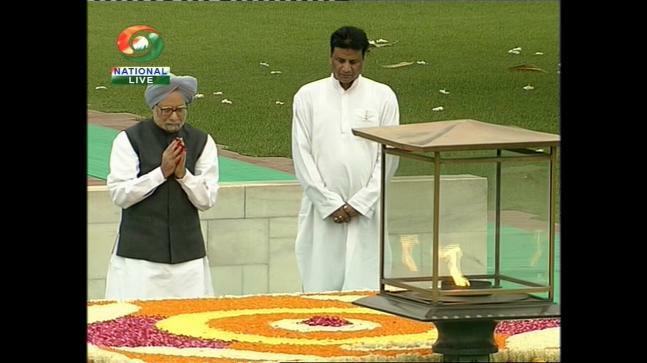 PM Manmohan Singh on the eve of Independence Day went to Raj Ghat and prayed in front of Mahatma Gandhi's samadhi. 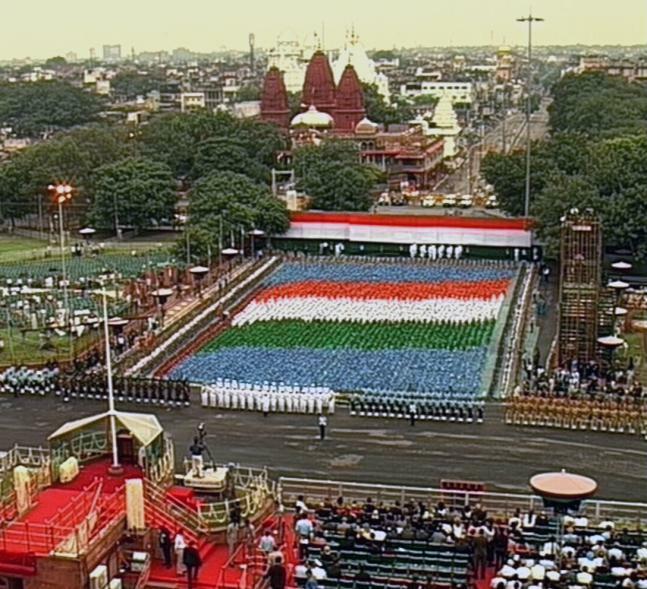 School children participating in the Independence Day function await PM's arrival. 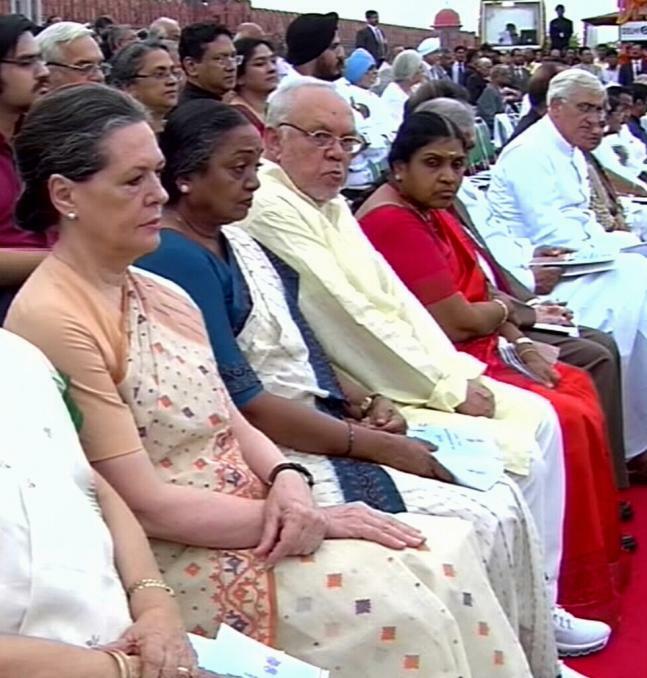 Sonia Gandhi witnesses Independence Day parade at Red Fort. 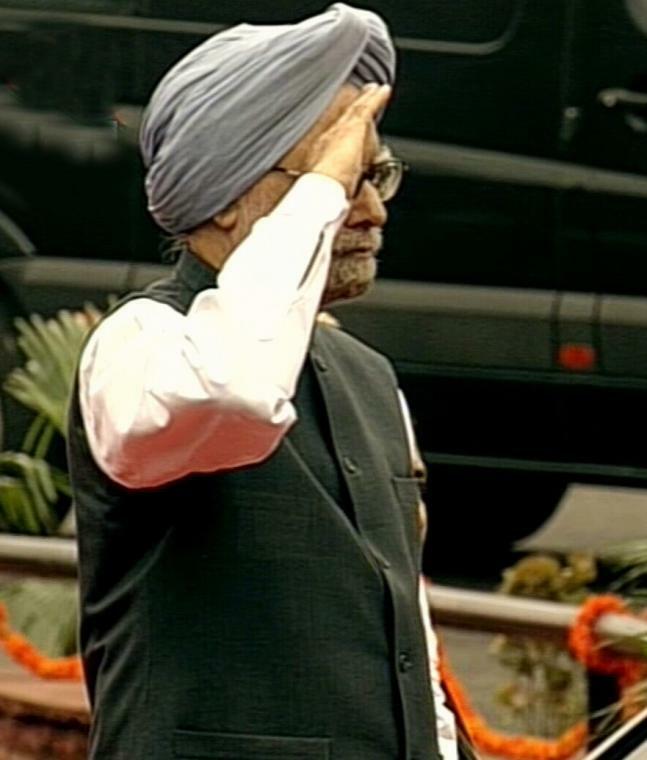 PM Manmohan Singh addressed the nation from Red Fort on Independence Day. 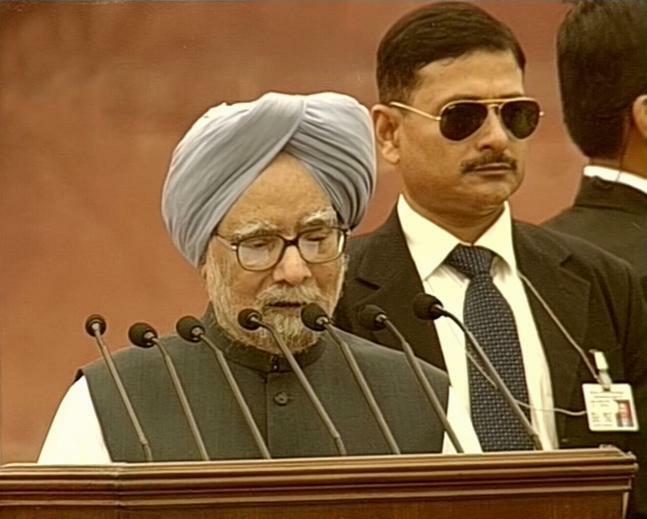 This is PM Manmohan Singh's last address to nation on the Independence Day as the PM of UPA-2.